Malta, a Mediterranean destination that sounds all too familiar to many British people. Everyone has a granny, neighbour or work colleague who has been to Malta once, twice, or even more frequently. Whenever I make cursory mention to folk in the UK that I happen to live in Malta, I find ready and eager conversationalists. People open up about their time there in the forces, or that of their dad’s, or say how they’ve close friends in Qawra. They then go on to mention specific shops and bars they visited on holiday, or more likely the shopkeeper and bartender whom they got to know on first name terms. While Malta may be familiar to the British, it has a lot to offer under the bonnet that’s uniquely its own, even though it’s had more than a dose of overseas’ cultural influences for centuries. This article by seasoned traveler Ariana Louis teases out several of the more unusual and iconic ways that Malta takes the Mediterranean holiday and makes it all its own; one that visitors will want to return to time and again. 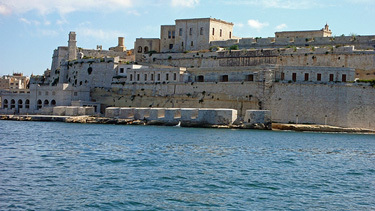 Malta has always been one of the top destinations for UK holidaymakers, quite renowned as the number one spot for Brits in search of cheap holidays. After all, Malta and the UK do possess some shared history, since the country was actually a British colony until the mid-1960s. A cluster of Mediterranean islands situated right between the island of Sicily and the northern African country of Libya, boasts some of the most high-quality and luxurious hotels and resorts in Southern Europe. Malta is a habitual stop on many Mediterranean cruises, and its capital, Valletta, is a very popular shopping destination for many patrons of such cruises. The open air markets that are littered all throughout this tiny country are a real source of insight into Maltese daily life and socialization rituals, in addition to being the places where one can buy the country’s traditional crafts, such as knitwear and lace. 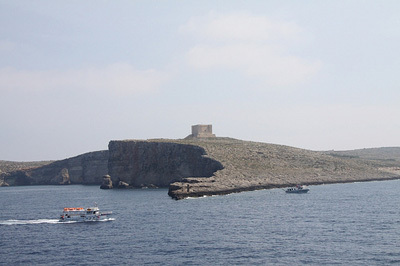 When it comes to popular holiday activities, snorkelling and diving are probably the ones that attract British holidaymakers the most: the beautiful, clear Mediterranean waters create superb visibility, and the abundance of reefs and caves contribute to making diving in Malta a great experience for divers at every level. An experience that is, very importantly, also a safe one…since Malta does not have any dangerous predators in its waters. For the younger ones, Malta holidays have also been recently becoming synonymous with, believe it or not, clubbing! In the last couple of years, the night life in Malta has really spiced up! During the summer, various internationally-renowned DJ’s are continuously invited to perform in the village of Paceville, on the coast near the small beach town of St. Julian’s. All in all, Malta is a very much established destination for travel and leisure, with cheap flights frequently available from many major UK cities. One thing that Malta is not really famous for, unlike its much larger neighbour up North (Italy, of course), is its cuisine and restaurants: indeed, many of us could admit to probably never even hearing about a Maltese culinary scene, ever! Yet, this is one cuisine that definitely should not be overlooked: influenced by British, Italian, Mediterranean and Northern African foodstuffs and techniques, the Maltese cuisine is definitely one of the most interesting in Europe. Having been a somewhat “isolated” corner of the Mediterranean for many decades, fish, fresh vegetables and various pasta dishes taken from the Italian cuisine are the key protagonists in Maltese cuisine. Fish is made in soups, hearty stews and encased in puff pastry. As a matter of fact, puff pastry is used to encase a variety of foodstuffs, such as vegetables and different kinds of meat: might this be a reference to our own British pies? Indeed, such pies, called “pastizzi” in the Maltese language, are the most common street food in every Maltese village and town: it is a small ricotta, cheese and egg puff pastry, which can often be enriched with peas, meat and anchovies. Served hot, these are delicacies very much beloved by the Maltese people, who like to have them as a teatime snack. Another Maltese unusual delicacy, which however many holidaymakers would not have the chance to taste, is an “escargot” stew that is made with the snails that come out with the rainstorms of late September. As in the French tradition, these are boiled, smeared in garlic and eaten cold, accompanied with a sauce of fresh herbs, garlic, and some slices of traditional Maltese bread. The Maltese tradition is not inattentive to the drinking needs, either: the country can boast some quite good, cheap wines produced by “Marsovin” its main winery which has been owned by the same family for decades. Maltese beers are also known as being quite good. Definitely an import of its former British colonizers, the UK’s favourite beverage gained even more popularity when a local family, the Farsons, decided to open their own brewery and produce the very first Maltese pale ale, the “Farsons Pale Ale”. In addition, a cool summer event to attend is the Farsons Beer Festival, which runs from end of July to the beginning of August and is held in the Ta’Qali National Park, located near the village of Attard. With all these tantalizing choices, restaurant scouting could thus become an interesting activity to get into during your holiday in Malta. You may not admit it but the one thing you will never forget in any holiday is the cuisine. The tastes linger beyond the trip and once you love it, you will remember it for years! Have fun exploring, and enjoy your Malta holidays! Ariana Louis is a teacher by profession and enthusiastic traveller by nature. Her passion and main objective in life is to be able to unleash her adventurous nature by visiting places all over the world, where her perky and extrovert self can be free to learn with and from the locals. As of now, she has travelled more than half-way around the world, and is currently embarked in a daring “love story” with Asia. Ariana is often helped by Travel Republic, which also offers Malta holidays, whenever she makes a trip abroad.